The clothing retailer has taken customising jeans to a whole new level, and people aren't having it. First pre-ripped jeans and ridiculously expensive "distressed" band t-shirts and now this: Nordstrom is selling jeans complete with fake mud, and you can get your hands on them for a snip at $425 (£331). The clothing store have launched their “Barracuda Straight Leg Jeans," describing them as "Americana workwear that’s seen some hard-working action with a crackled, caked-on muddy coating". Naturally, people have taken to social media to mock the the product, while others have suggested their own alternatives. Beauty Buzz - Nordstrom selling jeans with fake mud on them for over $400...WTF?!?! And that's not the only shameless new product to generate a few laughs either. 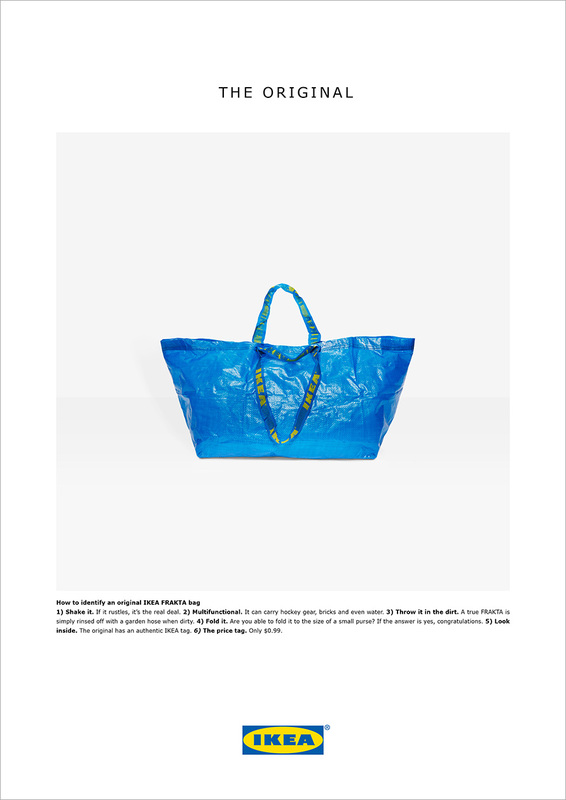 Recently, high-fashion designer Balenciaga released a tote which bore a striking resemblance to Ikea's handy shopping bags... except their creation is priced at an eye-watering £2,145. Ikea were quick to ride the wave, and trolled the brand with their very own ad campaign.